Are you looking for a massage that gets deep into your stiff, knotted tissues but doesn't make you grit your teeth? Are you in pain every day and looking for a therapist who can help decrease your pain and increase your range of motion? You deserve VIP treatment by an experienced, credentialed massage therapist to help you relax, rejuvenate, and restore balance. I specialize in painless deep tissue massage, therapeutic stretch, and manual lymphatic drainage. I perform massage and bodywork most afternoons and evenings in downtown Indianapolis at Healing Arts Indy, 805 S Meridian Street, Indianapolis, IN 46225 (across the street from Shapiro's Deli). Use the BookNow button above to schedule a massage in one of the most beautiful, relaxing locations Indianapolis has to offer at a time most convenient to you. If no convenient time is available, please TEXT or leave a voicemail at (317) 702-2769. 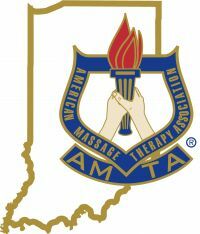 I am Certified by the State of Indiana MT21003793, Board Certified in Therapeutic Massage and Bodywork, and experienced in a variety of modalities. To view my qualifications, select "About Me", or click on "Services" to learn more about the various techniques I use. Rates and availability are listed in my BookNow online scheduler above. For your convenience, I accept payment by cash, check, and credit card (American Express, Discover, Master Card & Visa). I am also pleased to accept payment via most flex spending (FSA) and health savings (HSA) accounts.